Shoulder joint - Artifical Joint 《TEIJIN_NAKASHIMA》 - Surgical Equipments&Implants - Product - The Industrial Promoting Co. Ltd. Shoulder joint prostheses are mainly comprised of a scapula side and humerus side. Major indications are osteoarthritis and rheumatoid arthritis. Teijin Nakashima Medical offers shoulder joint prostheses specialized for rheumatoid arthritis for only the humerus side. These prostheses are expected to improve the range of motion and reduce pain as ingenuity has been used to avoid rotation and sinking. 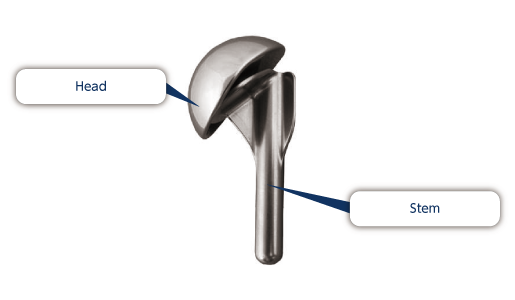 Our shoulder joint prostheses are designed not to interfere with humeral component stems that have already been implanted in patients.